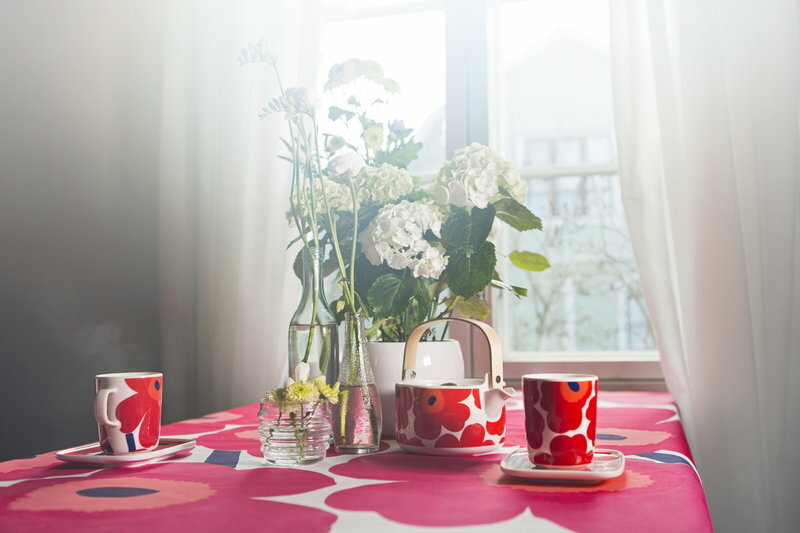 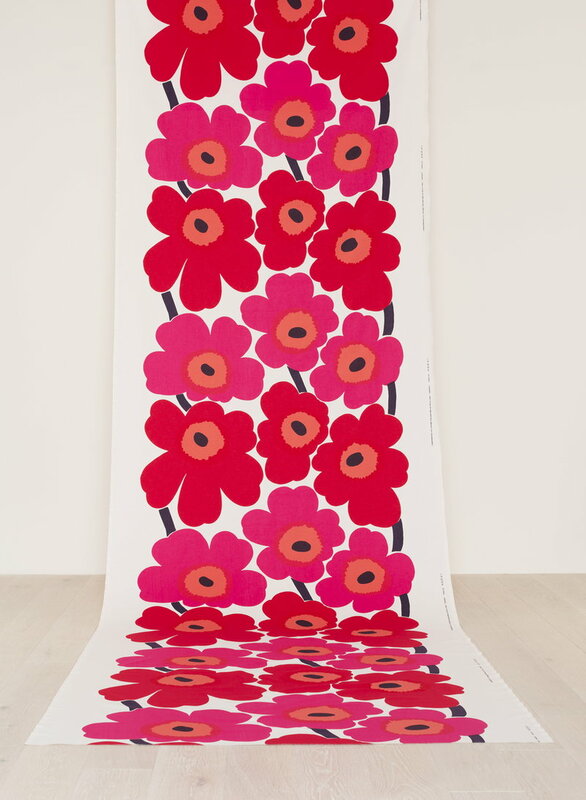 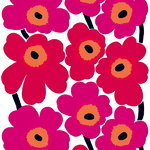 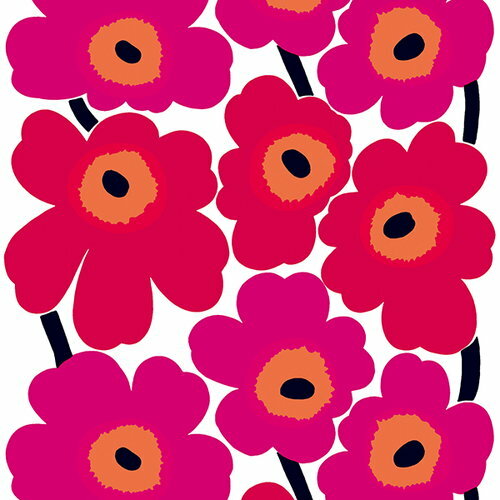 Marimekko’s Unikko fabric features the iconic floral pattern by Maija Isola in classic shades of red. 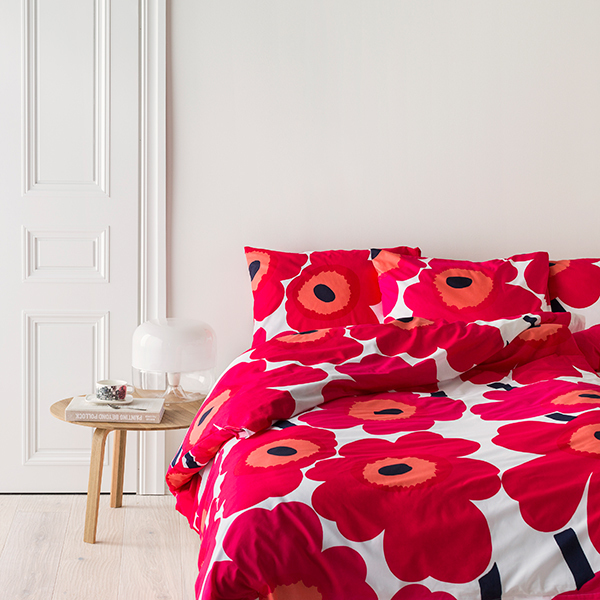 The fabric is made of heavyweight cotton and printed in Finland. 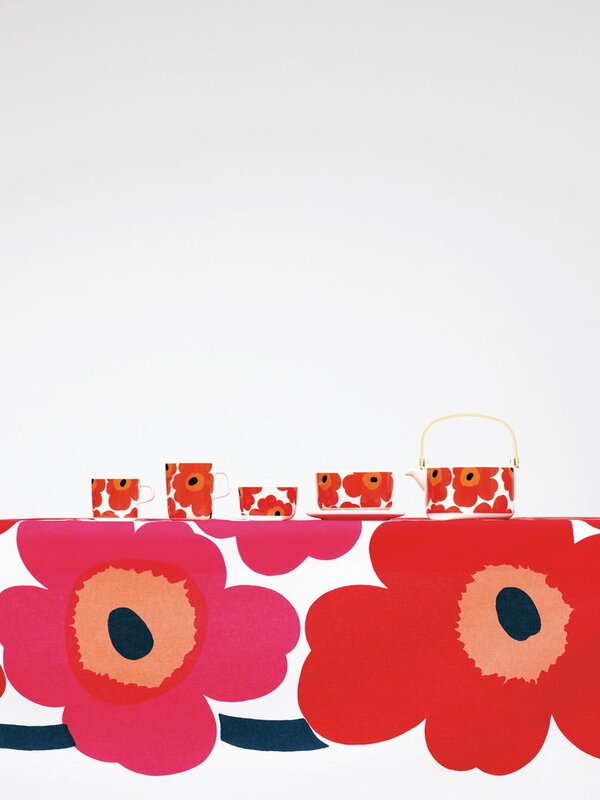 The Unikko pattern came about in 1964 after Armi Ratia, the founder of Marimekko, had announced in public that no floral fabrics are designed at Marimekko. 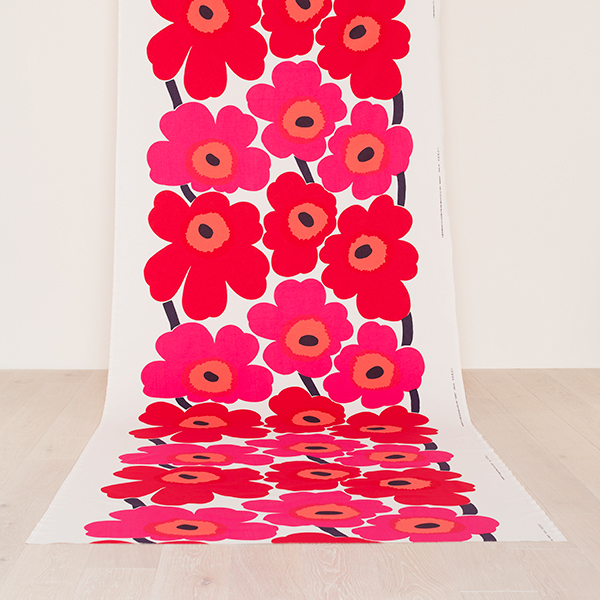 Maija Isola did not accept rules or restrictions and designed in protest a complete collection of bold floral patterns: Unikko, a Finnish word that means poppy. 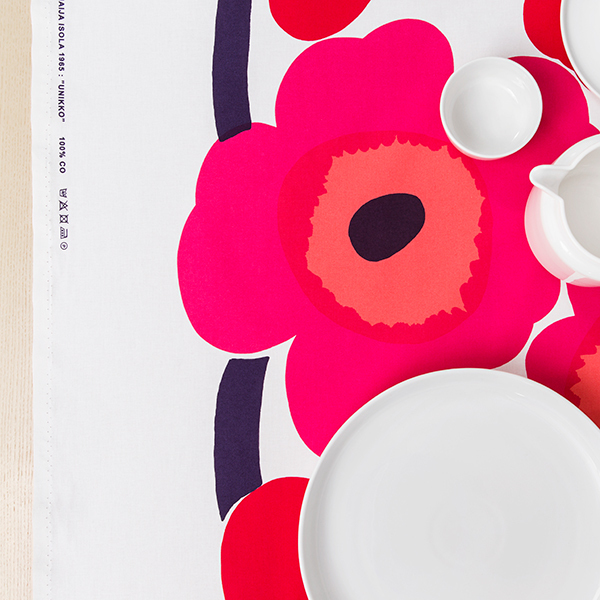 Today, Unikko is one of Marimekko's best-known patterns and recognized around the world.